1. Pour 3 quarts boiling water over figs. Let stand 15 minutes. Drain and discard liquid. 2. Rinse figs in cold water and drain. 3. Prepare syrup by mixing sugar, 1½ quarts water and lemon. Boil rapidly 10 minutes. 4. Skim syrup; remove and discard lemon slices. 5. Drop figs carefully into the boiling hot syrup, a few at a time. Cook rapidly until figs are transparent. 6. Remove figs and place in shallow pan. 7. Boil syrup until thick; the syrup must be boiled down until it becomes as thick as honey. 8. Carefully pour the syrup over figs, cool and let stand 6 to 8 hours in the refrigerator. 8. 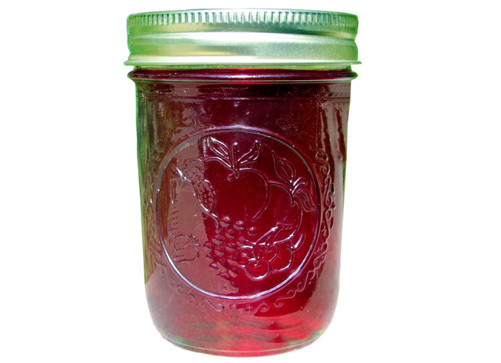 Sterilize canning jars and prepare two-piece canning lids according to manufacturer’s directions. 9. Reheat figs and syrup to boiling. 10. Fill whole figs into hot jars and cover with hot syrup, leaving ¼ inch headspace. 11. Wipe rims of jars with a dampened clean paper towel; adjust two-piece metal canning lids.